She is joining us at CMIT Elementary from now through December, in the capacity of a School Counseling Intern, and I know that you all are as thrilled as I am to have another person in our (regular) Counseling Department of 1 😉 She will work with groups, individuals, push in to classrooms for guidance lessons, and much more! We welcome Ms. Davis and are so eager to utilize all of her skills and talents in our Tigers’ Den. Posted on September 7, 2017 Leave a comment on Welcome to/back to the Tigers’ Den! Also included are employment opportunities, events and links to Support Groups around the state. 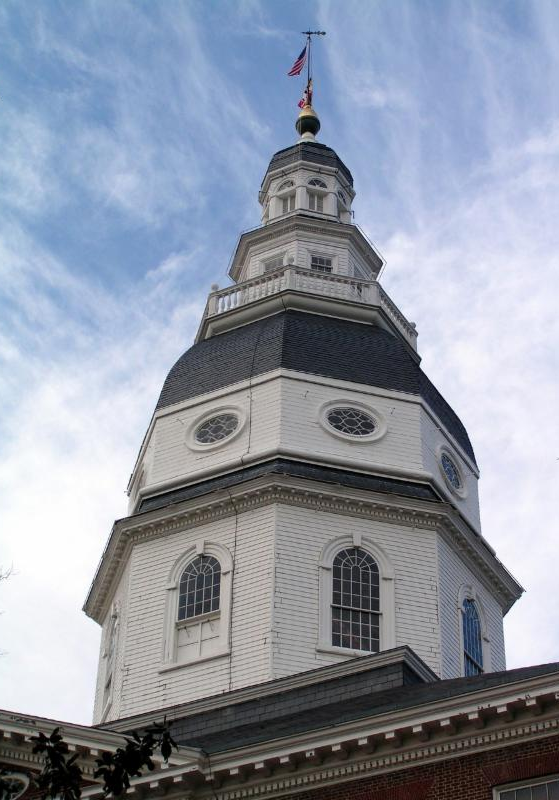 Maryland’s 2017 Legislative Session ended with passage of a number of important bills that address mental health and substance use, as well as education. Thank you to all who attended MCF’s Family Day in Annapolis and advocated on behalf of the Keep the Door Open Act (KTDO). KTDO was incorporated into the HOPE Act and passed! Click for summaries of key pieces of legislation. With the help of more than 400 School Champions and 100 Community Champions registered to take part in the 2017 Children’s Mental Health Matters! 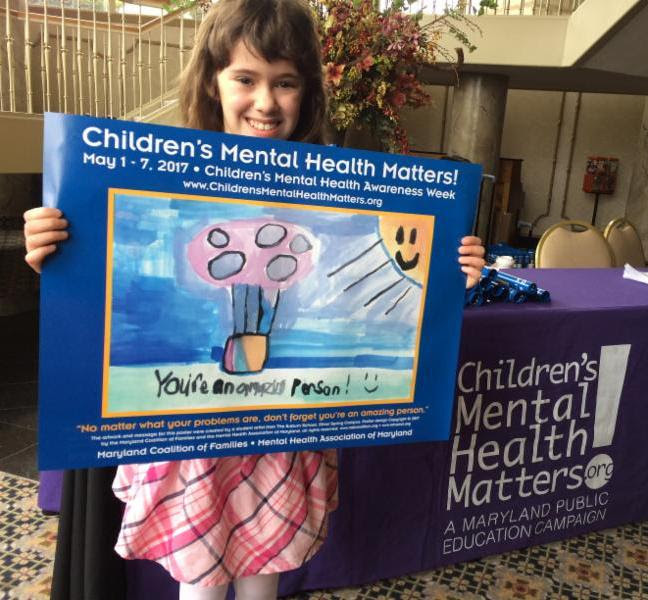 Campaign, May 1-7 is shaping up to be Maryland’s biggest celebration of children’s mental health awareness to date! Ready to bring the Campaign to your community? It’s not too late to take part! Find out how you can be a champion for children’s mental health in your school or community. From wearing green to sharing resiliency tips with your child, there are many ways that you can raise awareness this May 1-7. Spring is a time of new beginnings. It is also a time that people look to undertake some major housekeeping. Click for tips on three things that you can do to declutter your life and nurture your spirit. Young people with behavioral health needs in Prince George’s County are invited to get involved in two local, youth-driven programs. MCF is overseeing the development and implementation of a youth peer support group and youth advisory council for Prince George’s County as part of the Prince George’s County System of Care Expansion Implementation Grant in partnership with the Prince George’s County Health Department. On April 8, MCF celebrated 22 participants for completing our 13th annual Family Leadership Institute (FLI). This intensive 60-hour, six-weekend experience trains parents and caregivers to become more effective leaders and advocates for children with behavioral health needs locally and at the state level. The 22 members of the class of 2017 included caregivers from across the state, including grandmothers, aunts, foster and adoptive parents, moms and dads. Participants came from across Maryland, including Allegany, Washington, Frederick, Harford, Cecil, Baltimore, Prince George’s, Calvert and Wicomico Counties, and Baltimore City. If you have a question about Individualized Education Plans (IEPs), 504 Plans, Behavioral Intervention Plans (BIPs) or other topics related to education/special education, www.wrightslaw.com is an excellent resource. The website hosts a wealth of information – so much so that it can seem overwhelming at first glance. Before diving in, it may be helpful to view a tutorial video on how to navigate the site. MCF currently has a job opening for a part-time Youth Engagement Specialist. Help! I’m the parent of an anxious child! The “There is Hope” app provides fast and easy access to crisis intervention and suicide prevention support. 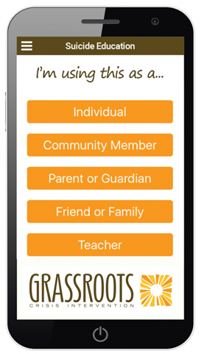 This free app provides the next steps to help someone at risk of taking their life, or for those concerned about family members or friends who are having suicidal thoughts. The app also includes an immediate connection to crisis counselors who will deliver help and hope for preventing suicide. Maryland Coalition of Families (MCF) is the statewide family voice for families of children and adolescents with mental health, substance use and/or other behavioral health needs. We advocate for improving services in all systems of care for children, youth and families. 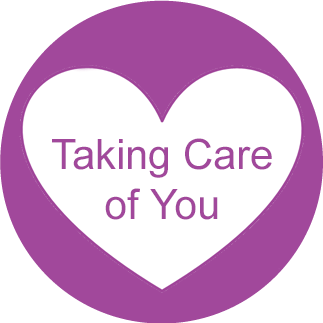 All of our family support staff are parents who have cared for a child with behavioral health needs and have been trained to help other families. Posted on May 1, 2017 Leave a comment on Mental Health Awareness Week! FABULOUS Opportunities!!! Posted on March 11, 2017 Leave a comment on ITS FREE!!!! After some fabulous brainstorming, poll taking, and good ole parking lot conversations, I am excited to host a 4-part series of ‘Coffee Collaborations’! I will present one of the 4 goals per morning session. We will, together, uncover and discuss where such behaviors start, how they display, how we respond… how we could better respond, and contribute any experiences we have had with our Tiger’s displaying such behaviors. We will then collaborate together on best practices in support of their growth and development! I am so excited for these sessions! The partnerships that come from such conversations are some of my most favorite things. Please COMMENT below with your “RSVP” for our first session, or send me an email (writchie@cmitelementary.org) with your intention to participate, so as I can be sure I am prepared with enough space and coffee and treats to accommodate! Posted on March 8, 2017 6 Comments on Coffee Collaborations! Karma? A Greater Power? Coincidence? Whatever it may be, whatever you may believe, there is no denying that when certain things happen in life, at the exact time that you needed them to (whether or not you were aware of that need), there is a moment of “Whoa”. I had a “Moment of Whoa” or “M.O.W.” this morning. As I eagerly got up, even before my alarm rang at 5:05am (yes, I am one of THOSE alarm setting people…) With the excitement of celebrating our 100th Day of school with my scholars, as well as getting to attend our 1st of 3 Black History Month Celebratory Assemblies, put on by our talented and wonderful students… I was very aware of my thoughts and reflections as I prepped for the day. Instead of my typical robotic movements of making my coffee and walking the dog, this morning, I was very pensive and sensitive to that feeling this morning. I kept coming back to the efforts I make daily to effect change in our students; in their experience and their understanding. It was not lost on me that we would be spending our time together today talking about and exploring our history, while I looked in the faces of our future. With the names of countless incredible people we would be representing today, I wanted to ground myself and focus on what I wanted the names of the students in front of me to take on with them after our time together. That has been my own moral compass for as long as I can remember, and the root and grounded philosophy on which I build my Counseling Career. There are beautiful interpretations of purpose and unique motivations in which we pursue our purpose definition throughout our lives… for me? I believe if we teach, learn, demonstrate, and practice empathy, the rest falls perfectly into place. How different I am, in so many ways, from the 5 year ago version of myself…and how wonderful it is to remember. The thoughts and importance of sharing with those around me the practice of Empathy, was as urgent to me 5 years ago as it is this morning. Understanding not only ourselves, but embracing the fact that everyone has a self to be understood, proves to celebrate our individuality and promote what we have to offer, while connecting us invaluably and indefinitely. It elevates us as beings. My wish today is that we all spend more time not asking “why?” someone did or said that, or “what?” they were thinking, rather, “how?” can I help, “how?” can I do more, “how?” would I want to be treated….and do it. And so, I wanted to share it here, with everyone! While so much of our energies seem to be pulled to focus primarily on our student(s) academic achievement to demonstrate development, and eventually mastery… that does not, can not, and will not ever be something that takes place in isolation. In order for our scholars to truly ROAR, in our hallways and far beyond their time here at CMIT-ES, our focus and energies must be on the whole person, spending just as much effort developing and growing Social Emotional Learning (SEL) as every other area. Our Tigers are demonstrating in their actions, their words and their efforts every day, a FIXED Mindset… In order for them to reach the potential we work so hard to unlock and support them to achieve, we need to teach them, show them, enable them, to have a GROWTH Mindset. We are seeing a new culture come up in our next generation. One of technology in intervention. The innovation is wonderful to observe, though that shift has promoted major neglect in areas of critical importance that our children are missing…socialization. We see in the school building every day a lack of personal understanding/self-awareness and empathy. Students are struggling to work successfully in a classroom with other individuals and personalities. There is a rigidity in their scope that leads to arguments, hurt feelings, unkind actions and words. Without flexibility and understanding, we are not progressing. Here is a BRIEF presentation on Social Emotional Learning, as well as what we can do to support this type of learning. Having a conversation, is not texting. Hanging out, is not through Google. Playing together, is not neighborhoods away through a headpiece and a gaming system. Time together is not watching the same thing at the same time. I urge each and every one of you to engage in a rich conversation about Social Emotional Learning, and how we can support this type of development. At home. In School. In opportunity. By Example. It can start here! Leave a note to start a conversation, or send an email (writchie@cmitelementary.org) This is just the beginning of much more form me around this topic… stay tuned! It is with joy in my heart and excitement in my soul that I wish you all the Happiest of Holidays! As you leave school today, and enjoy the next 2 weeks with family, and friends, and if you are like me: friends who have become family… I want to send you into 2017 with a wish for you and hopefully a motivation. In November we spent our efforts with our scholars in harboring “an attitude of gratitude”. December we have worked on our #KindnessChallenge. Our scholars have been identifying those in our school community going above and beyond to spread kindness in our community, and ‘shouting them out!’ on the announcements and on the bulletin board for all to see! With our thoughts and feelings focused on giving and graciousness, my wish for you all is that we hold onto those notions this holiday season. It can be a very challenging thing to do when it seems so much of this time has been overwhelmed with and lost to “wants” and “greed” over “needs” and “providing for others”. I found the article below exactly what I was in need of to feel as though my thoughts were not my own, but rather, concerns that others were having as well. Please receive my wish for you for a Happy, Healthy and Compassionate holiday break, followed by a re-commitment to living the example of positive character for our Tiger Cubs. Lets ensure they are SEEING it, not just HEARING it. I hope that you enjoy this article as much as I did! When I came across the article below, I couldn’t help but smile. So often to I find myself in a similar situation, asking our scholars what I think is a seemingly open ended question, only to receive a short and closed answer. How was your morning? ….Fine. Did you have a nice weekend?… Yes. Every day for the morning announcements, I end with challenging our scholars to grow their brains that day, and ask an awesome question. Well, I think we could all work to do that a bit more… me included! We are also big proponents of “Rose and Thorn” talks in the car. What was the rose of your day? (the positive) and What was the thorn? (the challenge, or struggle with which you were faced). This dialogue forces us to see and recognize that in each day there is a challenge of varying degrees that we face, but we are not able to focus on those alone, as despite the thorns, there is also rose. Lets get asking and keep on talking!